We only ship within the United States at this time. European shipping cost is often as much as the item or more! We also sell other gift and specialty items. We sell only quality items. If we or our animals don't like them, we don't sell them. 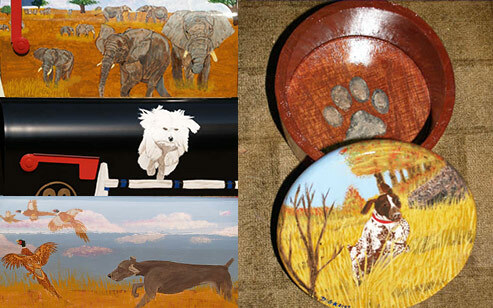 RETAILERS: Wholesale pricing available on artwork only - Call for price list and order forms.